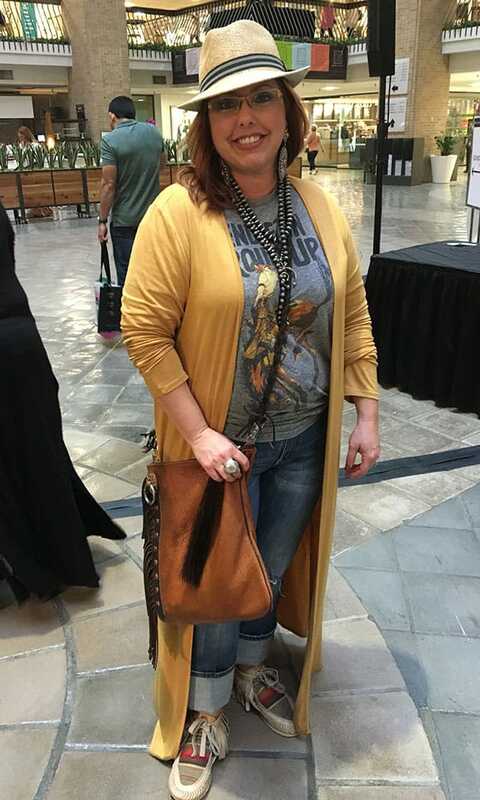 Western, contemporary, and everything in between! 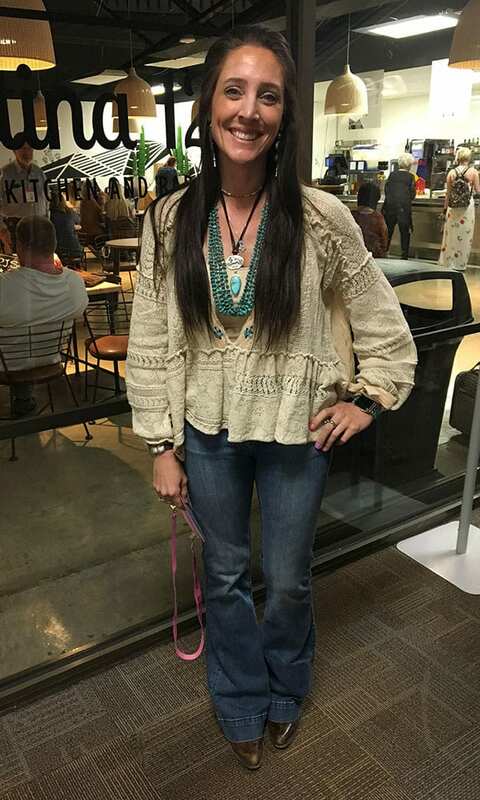 COWGIRL’s trip to the Dallas Western Market was filled with fun and fashion. 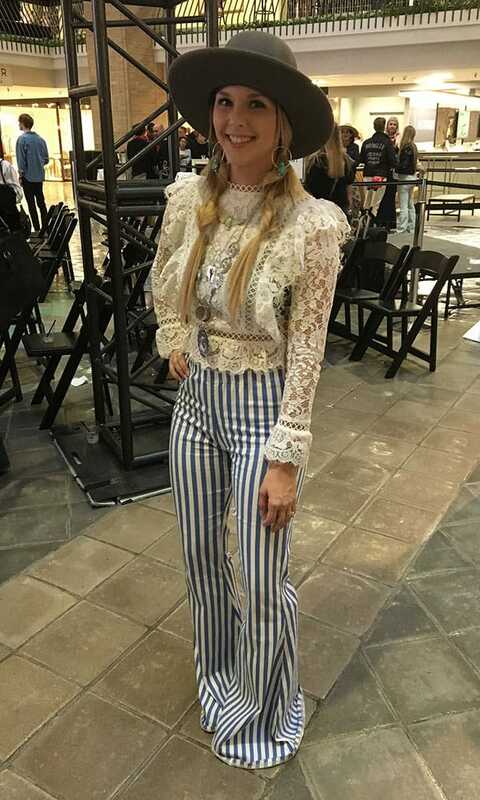 While our style team browsed showrooms and booths to find upcoming trends, we met several cowgirls that were dressed to the nines showing off their individual style. Pairing a casual graphic tee with a pair of exciting pants creates a casual-cool feel. A squash blossom adds pizzazz to this plain black tee. Jewels on jewels on jewels! Don’t be afraid to layer necklaces to add dimension to your outfit. 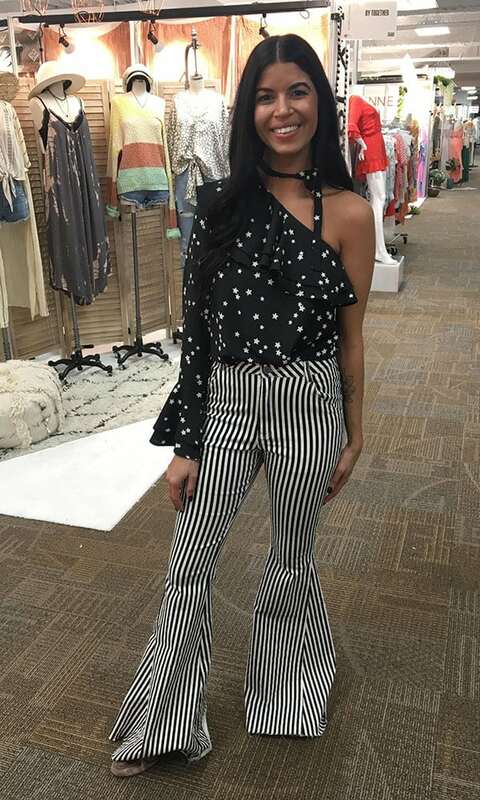 Mixing textures and prints can make for a unique look, especially if they have matching color schemes. Who needs sleeves? Wearing your jacket over your shoulders for an event or night out creates an interesting, yet relaxed look. Need another layer? A thin, patterned duster can be an excellent statement piece, and they work great in warm weather. Pairing patterns can be risky business, but not if you match their colors. 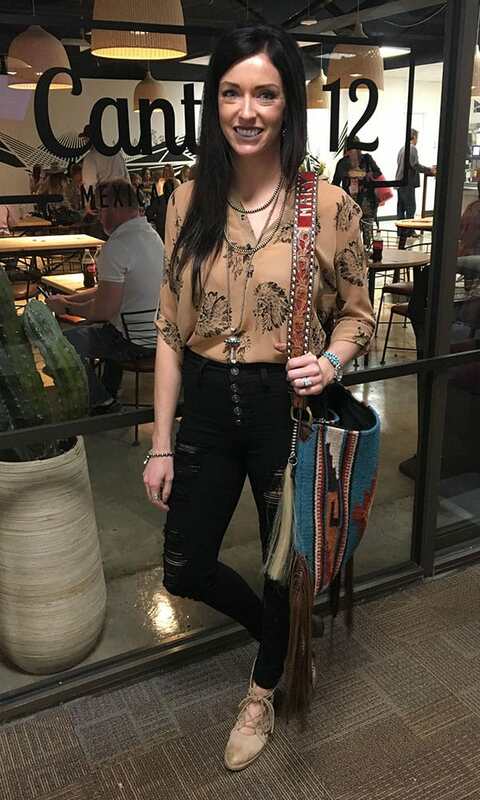 You can never go wrong with a fringe bag. Black and white and turquoise all over! 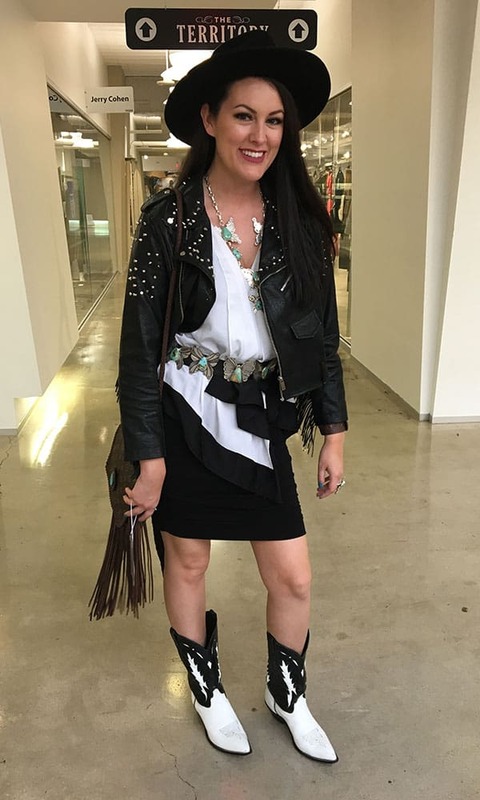 Pairing a tough leather jacket with some girly jewelry creates a balanced, chic look. A fitted denim top like this one is unusual and unexpected. 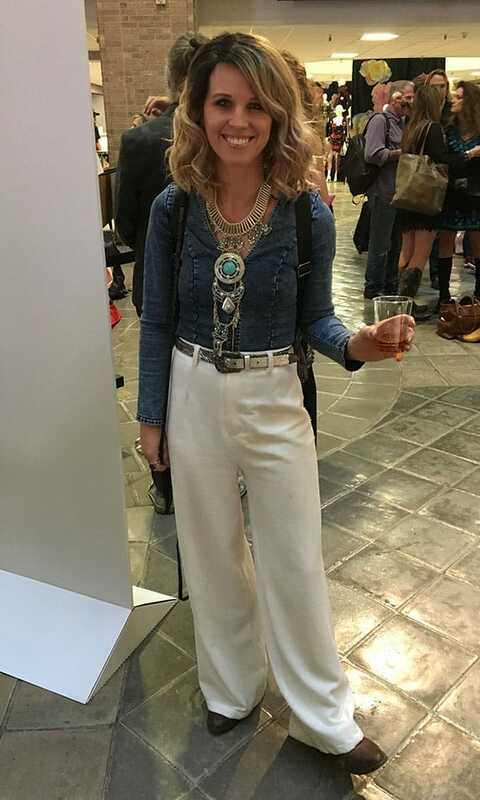 Dress it up with some jewels and colored pants or dress it down for a more bohemian look. Crochet is about to be huge! 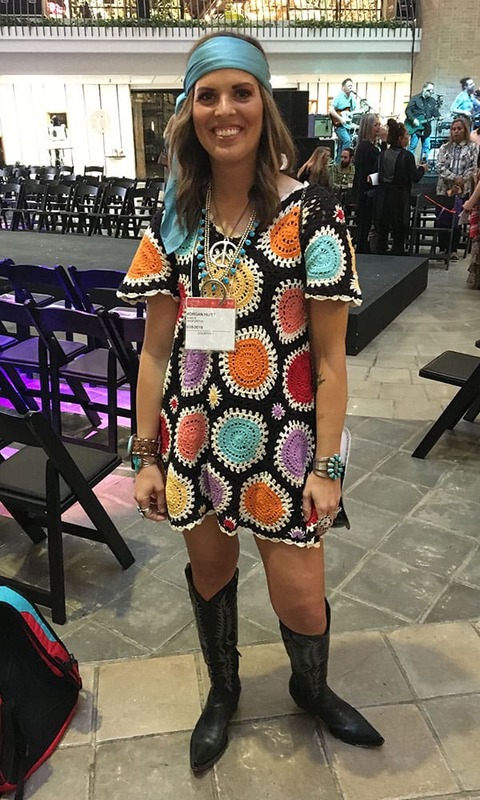 This colorful dress works so well accented with black boots. If you feel like you have nothing to wear, change up a piece’s purpose. 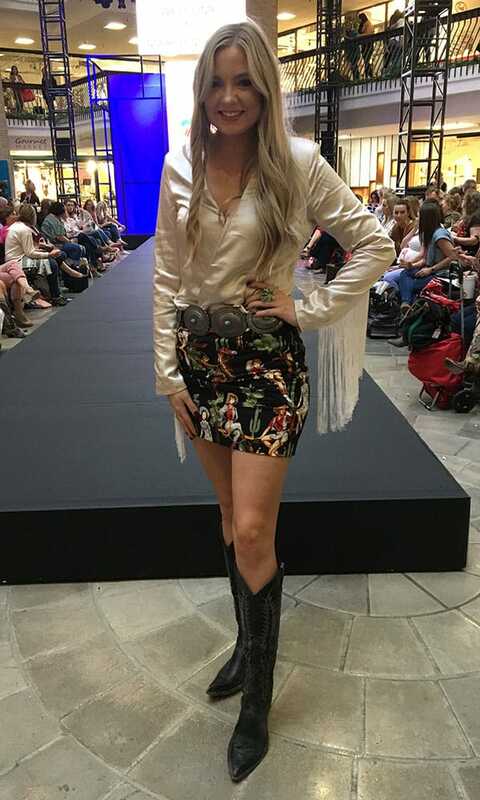 This “top” is actually a dress, but was transformed when tucked into this printed skirt. Comfy, compact shoes can be a lifesaver. 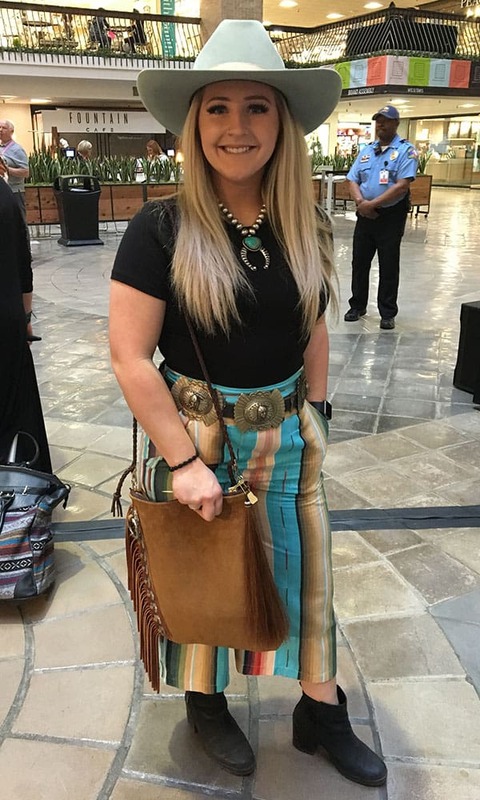 This cowgirl kept them in her bag and broke them out when her feet needed a break. 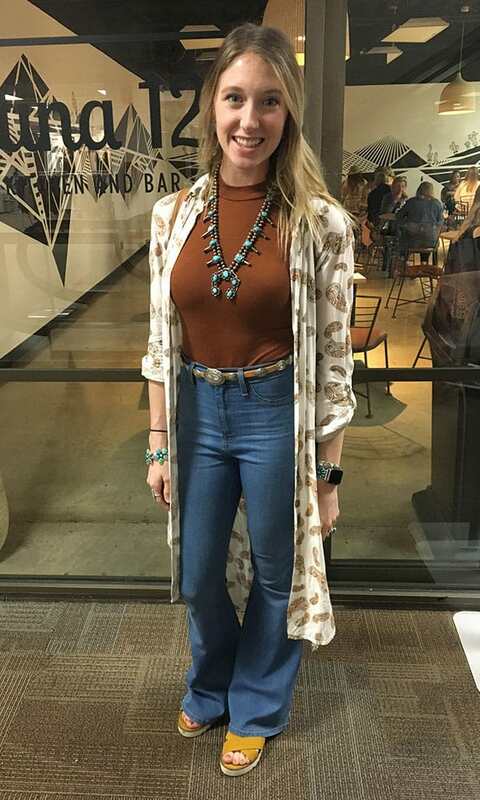 A sequin duster can be the cherry on top of a simple outfit, just like how this one gives life to the white t-shirt dress underneath. Want to see more street style? 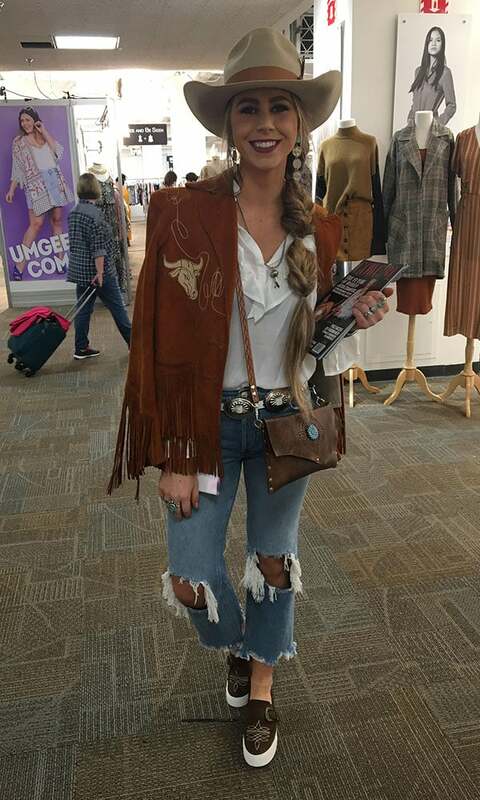 Check out the amazing looks we saw at RFD-TV’s The American!